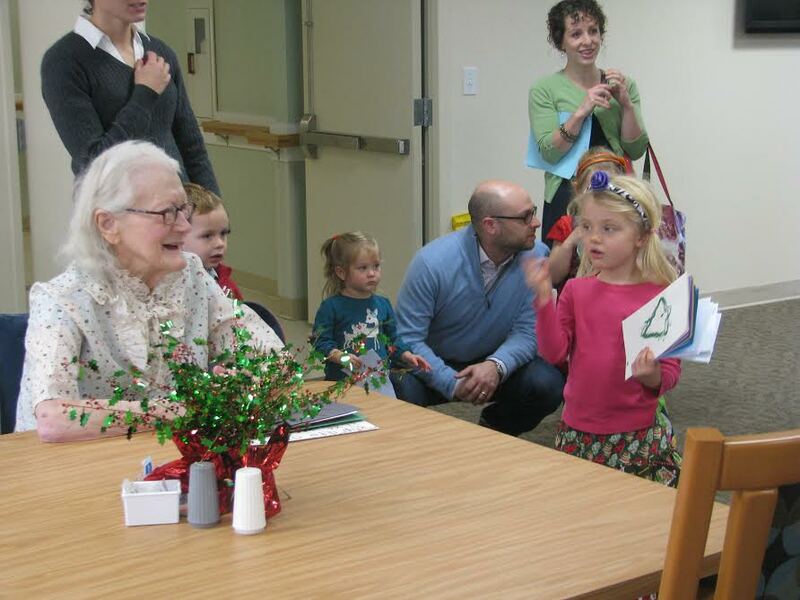 Friends of the Soldiers Home for the second year was proud to arrange a holiday card drop by the DC Homeschool Cooperative on Thursday, December 19th, at the Armed Forces Retirement Home. 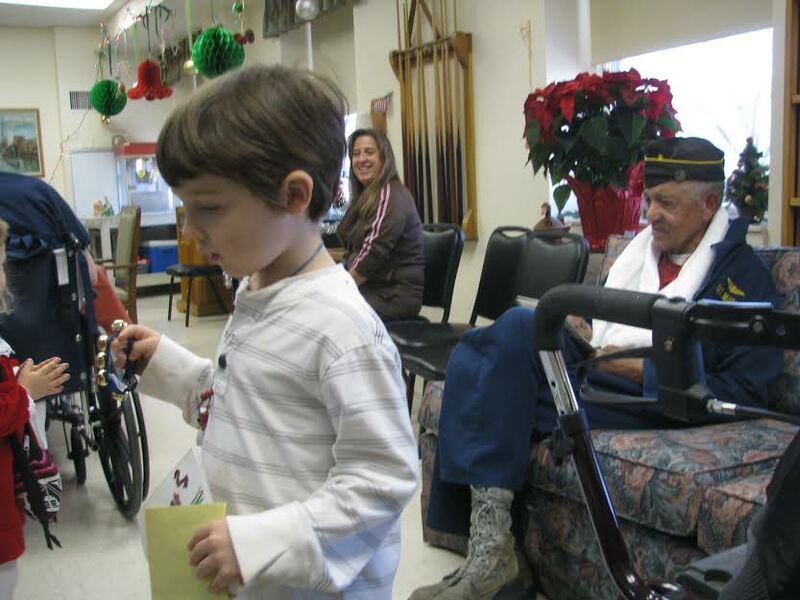 Children excitedly presented cards that they made directly to veterans who received them with a smile. The youth group at Holy Cross Parish in Garrett Park, Md., also made holiday cards for veterans at the Soldiers Home that Friends were able to deliver as well..
We thank the DC Homeschool Cooperative and Holy Cross, and above all we thank the veterans of the Home for all the sacrifices they have made! 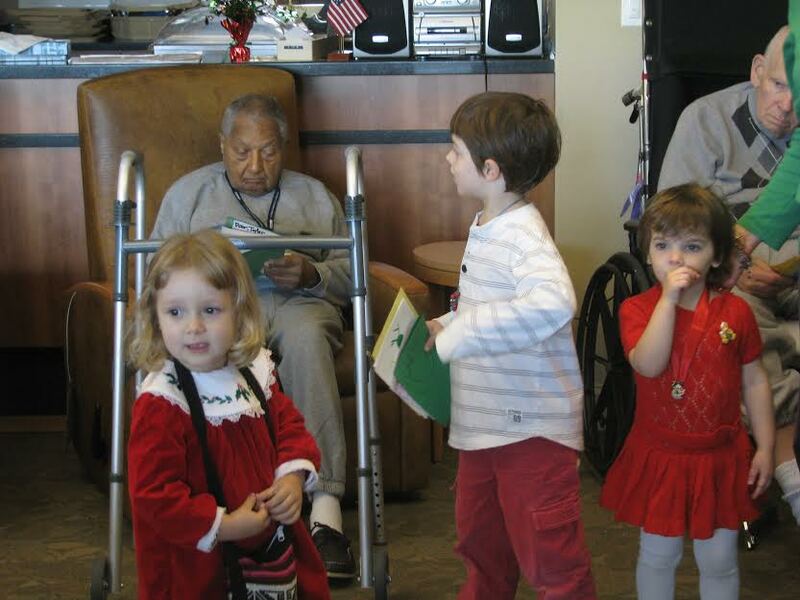 This was the 40th and final volunteer activity by Friends of the Soldiers Home in 2013. We want to thank the residents, the staff and community volunteers who made all our successes in 2013 possible. We wish everyone the best this holiday season, and we can’t wait to be back in action in 2014! We in particular wish a happy holiday season to our veteran friends, who deserve nothing but the best. Holiday Card distribution (Photo by Mary Bucci). 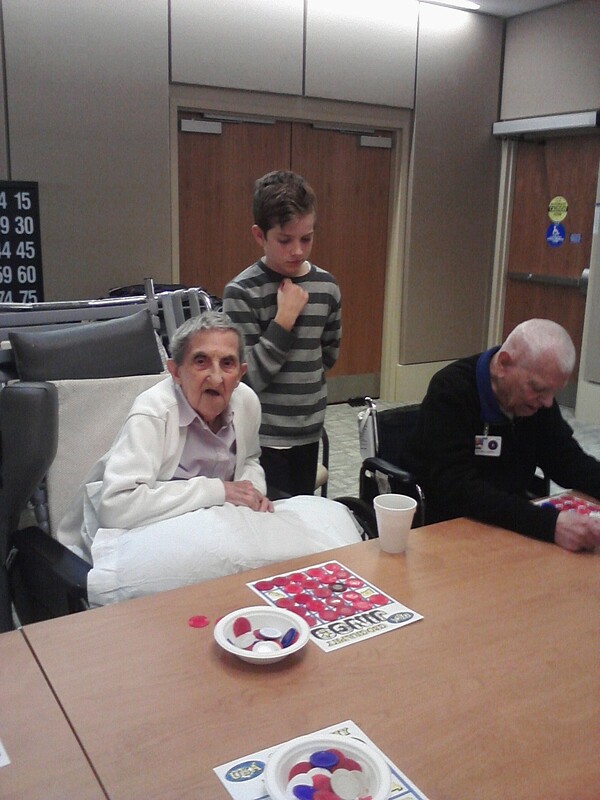 Six Friends volunteers Dec. 12 helped some Soldiers Home residents play one of their favorite games, Jingo, which is bingo accompanied with a trivia question. Friends volunteers helped some residents get to the game and assisted them in playing. It was the Friends’ 23rd Jingo session since the group formed in November 2011! Veteran Margaret Tuck, left, has sharp eyes to go along with her sharp mind, but she has trouble hearing the Jingo calls. With Friends volunteer Teddy Hughes at her side, she is able to try to fill her card and collect a pot! Photo credit: Lori Lincoln. Friends President John Hughes, left, joins Friends Board Member Zach Hartman in presenting a wreath decorated with military emblems at the Soldiers Home Holiday Tree Lighting Dec. 10. 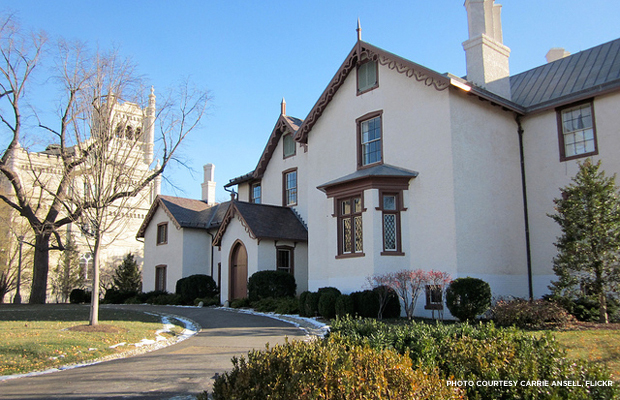 David Watkins, right, is administrator of the Home’s Washington campus (Photo by Mary Bucci). About 30 people from Friends of the Soldiers Home joined residents Dec. 10 for the annual holiday tree lighting extravaganza — the first held at the new Scott Building on campus. This was the third year the Friends co-sponsored the program with the Home. 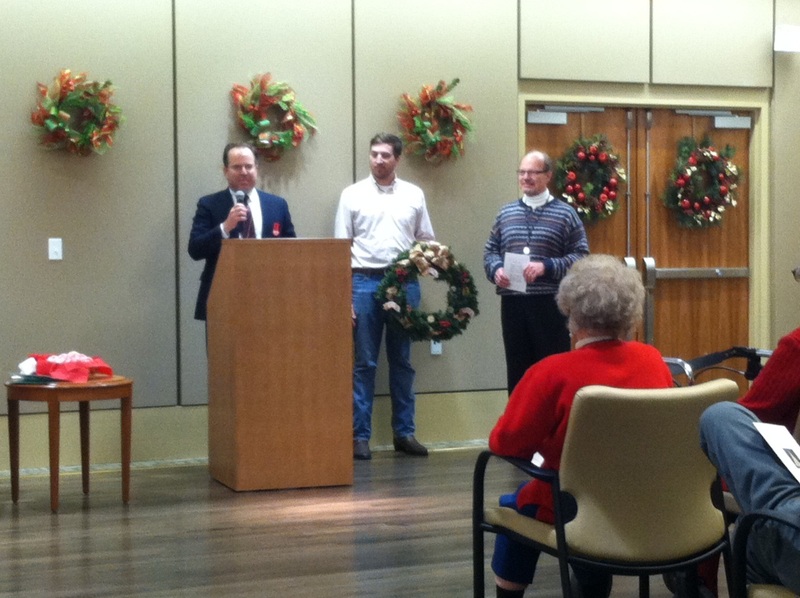 Friends President John Hughes and Board Member Zach Hartman continued the tradition of presenting residents with a holiday wreath decorated with emblems from each branch of the military. A choir provided entertainment and led a group sing-along, cookies and drinks were served and Mr. and Mrs. Santa Claus were on hand for visits and photographs. David Watkins, the administrator of the Soldiers Home Washington campus, led the group to the Scott Building courtyard for the lighting of a tall, beautiful tree. Everyone then sang “O Christmas Tree” in the crisp night air. Friends of the Soldiers Home is grateful to residents and staff of the Home for again including us in this annual celebration. Seven Friends of the Soldiers Home volunteers headed to Defenders’ Inn on the Home campus the evening of Dec. 3 for the second Casino Night it has held with residents. The Friends tossed aside the usual format of bringing in musical talent for Saloon Night With Friends and instead brought cards, chips and fun for an exciting evening of playing games of chance and skill. 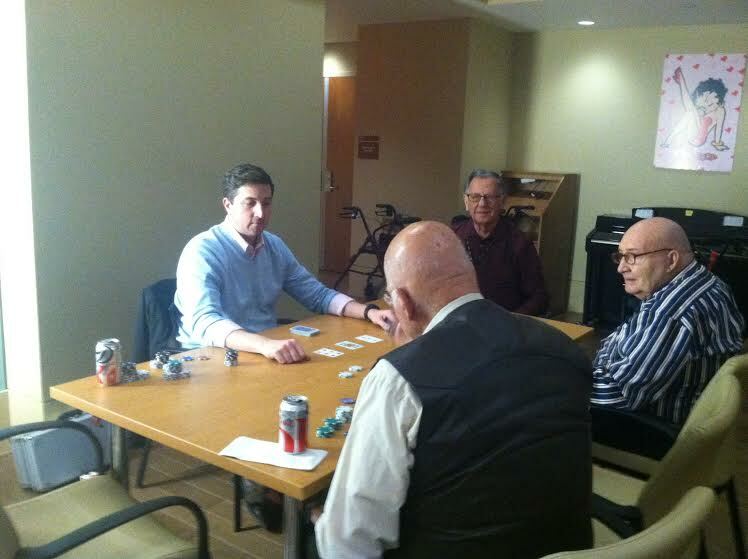 Of course, for those Soldiers Home residents who didn’t opt for cards, there was the usual fun activity of having snacks and drinks while visiting with volunteers from the community who came to the Home for the pleasure of spending time with them. Saloon Night will be back to its usual format Jan. 7 with a rock ‘n’ roll band, you read that right, it was not a typo, a rock ‘n’ roll band rocking the Home!